A Taiwanese news article posted online on November 21st had an interesting topic: an IMINT & Analysis forum member's article posted to militaryphotos.net detailing Taiwan's air defense facilities. In a roundabout way, this site was also mentioned, as the article stated that the air defense overview's author "was working with another that had previously worked on Taiwan air defense, and photos/imagery". Hey, that's me, referring to my May 2009 piece on Taiwan's Strategic SAM Network. 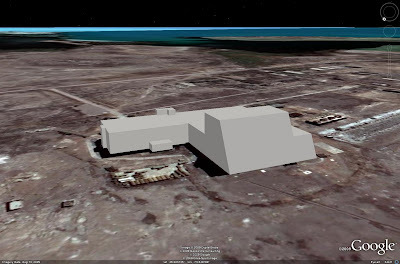 The news piece claims, by way of comments from ROCAF officials, that the sites detailed are public knowledge and not secret, and that the distribution of commercial satellite imagery makes it more difficult to keep such facilities concealed. That's all well and good, but they have to be privately annoyed, given the fact that a good deal of these sites are in fact censored in the most recent Google Earth imagery. If they weren't meant to remain hidden from public view, why bother censoring the sites? Of course, that didn't stop me in the least from utilizing Google Earth's features to extract uncensored images of the sites and display the relevant imagery. Besides, if anyone thinks that the Chinese military doesn't know exactly where these facilities are located, they're deluding themselves. Taiwan may desire to hide these locations from the general public, perhaps to conceal their proximity as likely Chinese targets to major population centers, but talking about them on the internet is certainly not a serious security concern. At the end of the day, I can take pride in one aspect of all of this apparent international annoyance: If I wasn't accurate, the ROCAF's responses would've been different. 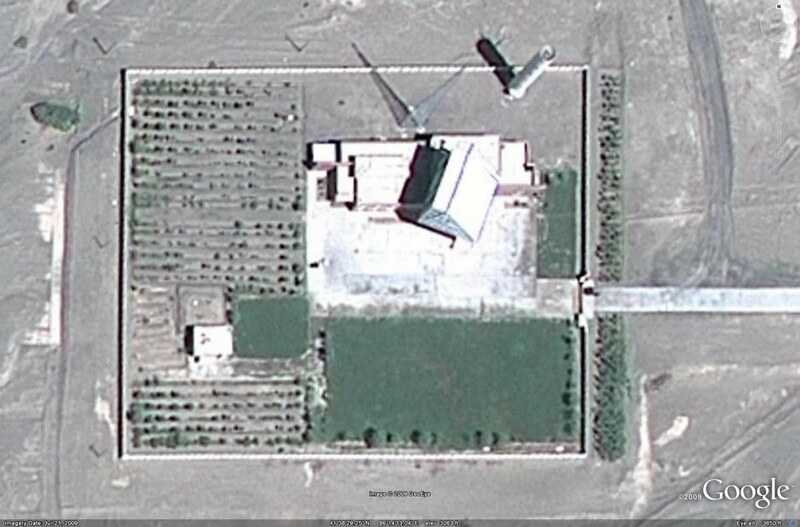 There is still no information regarding this facility, although its positioning and orientation suggests a BMEW function. An alternative, given the relative proximity to the Xinjiang possible HEL site, could be a space tracking role providing early warning data to the ASAT network. I'm pretty sure we can all agree that the end result will be worth the wait, right? 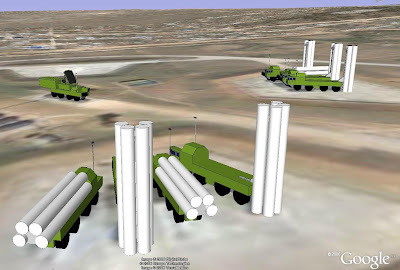 My intention is to model the major facilities, including operational radars like the Don-2NP (HORSE LEG) seen above, and launch components like the 53T6 silos. I've found this to be ridiculously easier than when I tried modeling the S-300PS (SA-10B GRUMBLE), albeit still time consuming. The level of detail in the structures will depend on how long it takes to generate the basic structures. The HORSE LEG seen above is pretty basic; at the very least it still requires the two array faces and a few more odds and ends atop the radar housing. I'll probably build the basic buildings and structures (i.e. something like the HORSE LEG only with the array faces and a paint job) and then see where I'm at before deciding whether or not to go back and make them ridiculously detailed with windows and whatnot. Anyway, since it is in fact now Monday, why don't I go see about a new Image of the Week. Undergoing conversion to PDF format.